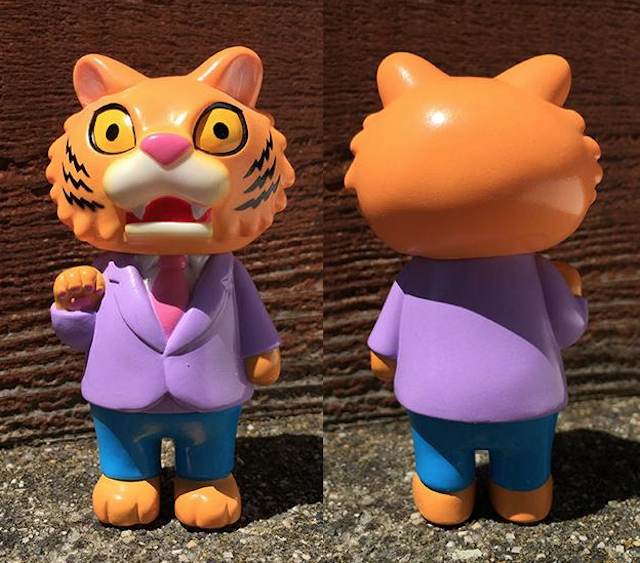 A couple of new production colorway editions currently available from Max Toy Co: The New TIGER BOSS Summer 2018 Edition (here for US$40 / seen above), and the debut of the first fully painted version of LUNAR CAT ( for US$30 / seen below) - featuring a new head sculpt by artist Daniel Yu and using their Tiger / Office Cat body. "Wonderful new head sculpt, with nice details by Daniel. The body is factory painted, while I hand painted the heads with dry brushed gold and various sprays. This offering is limited so don't pass this one up!" - shared Mark Nagata.